My name is Yugal Nathoo and together with Akheel Appadoo, another ELI volunteer and friend of mine, we are leading the ELI Welfare Of Our Furry Friends (Wooff) project. We are both animal lovers and agree that there are lots of things this project can bring to Mauritius to promote animal welfare. For this first post, let’s start by looking at the treatment some dogs are subjected to in Mauritius. It’s common practice to see families owning a dog as a simple guard dog. No love, no freedom! Just some food and water to keep it alive. Dogs are naturally social beings who thrive on interaction with human beings and other animals. In the wild, dogs and wolves live, eat, sleep, and hunt with a family of other canines. Dogs are genetically determined to live in a group. So why keep them alone struggling to survive in backyards? In addition, chained dogs are not good guard dogs. A dog learns to be protective by spending lots of time with people and hence knows when its family is threatened. 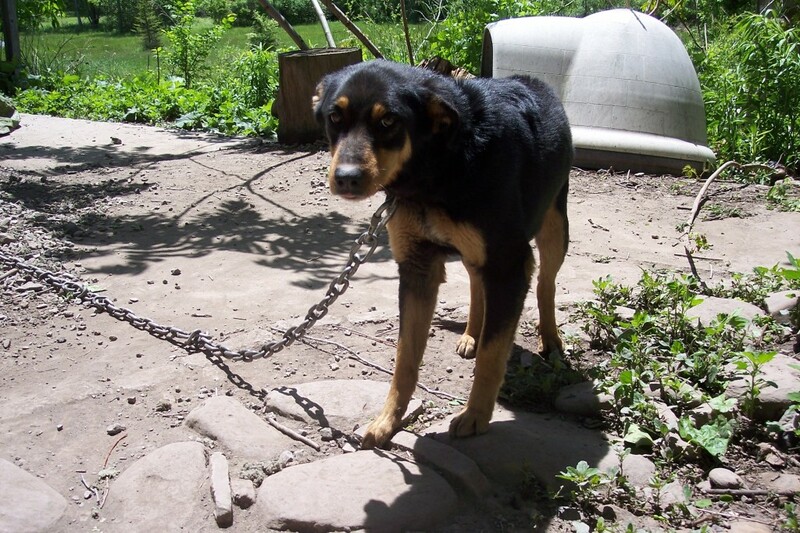 Deprived of social contact, chained dogs show aggressiveness not protectiveness. It shouldn’t happen to “man’s best friend,” but it does. Unchain your dog!